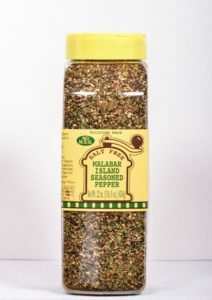 A unique blend of our high quality pepper with herbs and spice — WITH NO SALT – to create the most flavorful peppery seasoning. 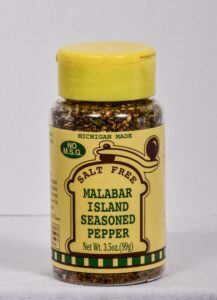 Makes the best pork roast: rub with seasoned pepper, garlic and pork and poultry! 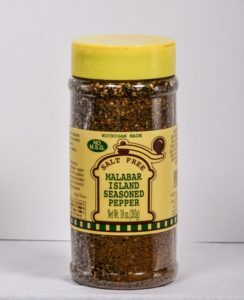 A fantastic change to just pepper. 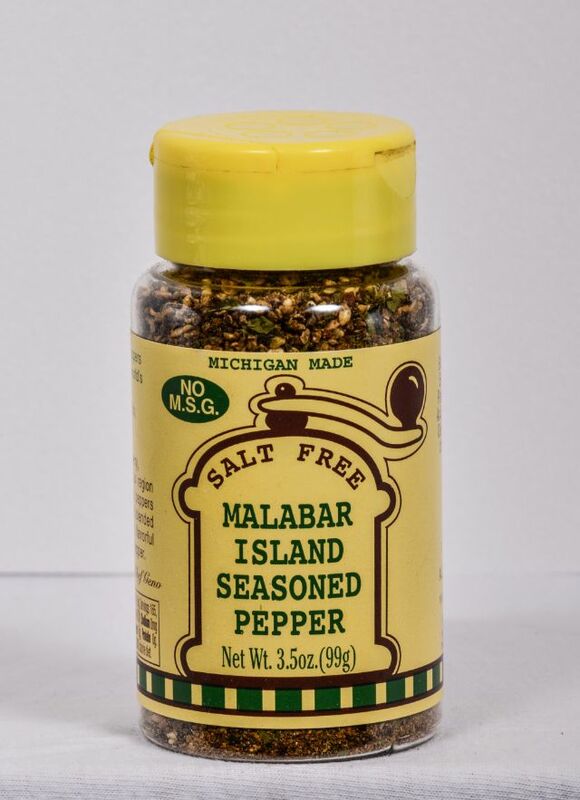 Black Pepper, Cilantro, Sesame Seed, Lemon Powder (Dextrose, Citric Acid, Lemon Oil), Paprika, Celery, Onion, Garlic, and other Herbs and Spices.